Leader in Me Online is a website full of resources to help teach students, develop staff, engage parents, and achieve results. ✓ Staff Development Videos ✓ More Coming Soon! Digital versions of the high school courses make Leader in Me Online accessible for everyone. FranklinCovey leadership courses give students an opportunity to master college, career, and life-readiness skills. Flexible course options allow material to be delivered over the course of a full semester or during advisory periods. Once students complete the series of courses, they can be awarded a leadership certificate to put on their résumé, college applications, and more. Licensed schools can contact a local FranklinCovey representative to order printed versions of the course materials. Continually improve staff understanding and application of the 7 Habits. 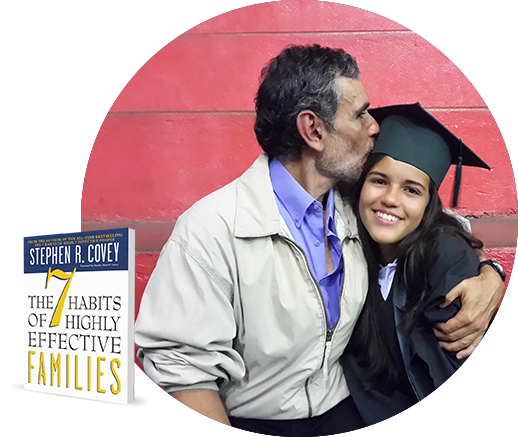 Apply principles of The 7 Habits of Highly Effective People® even after initial training. 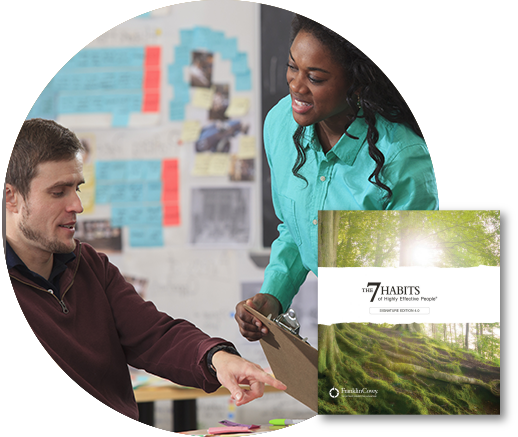 Leader in Me Online offers web-based structured outlines and videos that provide ample opportunities for discussion with an accountability partner about key principles of the 7 Habits. Staff can solve common challenges by networking with other Leader in Me High School educators online. Discover an interactive community full of lesson plans, bulletin board photos, videos, activities, literature connections, Leadership Event ideas, and other resources created by educators in Leader in Me Schools online forums. Administrators can inspire staff members with ongoing opportunities for professional development. 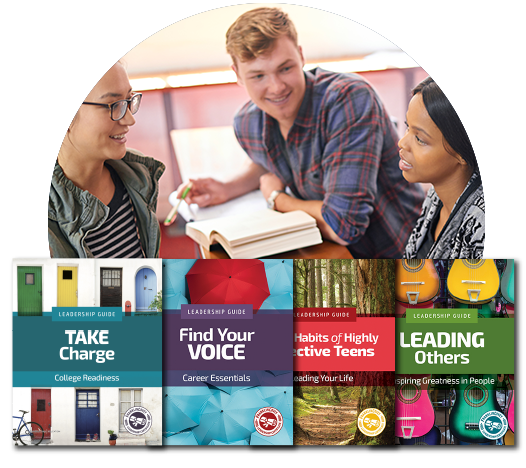 Access an extensive library of over 120 FranklinCovey’s award-winning leadership development videos for use in staff meetings, classrooms, or for personal study. The videos each highlight key leadership and organizational effectiveness principles to improve a school’s culture and encourage staff to learn and implement new skills. Training resources offer h the 7 Habits of Highly Effective Families workshop to parents and guardians of the students. Parent night resources help staff members present and distribute information for parents and community members working to understand Leader in Me. Teams have access to high school implementation resources to help resolve common challenges. Leader in Me implementation outlines simple paradigms, behaviors, and a path for staff to collectively achieve measurable results. In coordination with a coach, members of administration and the LEAD Team(s) can work together with all the supporting resources available through Leader in Me Online.